South Africans gather to remember Marikana massacre - SABC News - Breaking news, special reports, world, business, sport coverage of all South African current events. Africa's news leader. 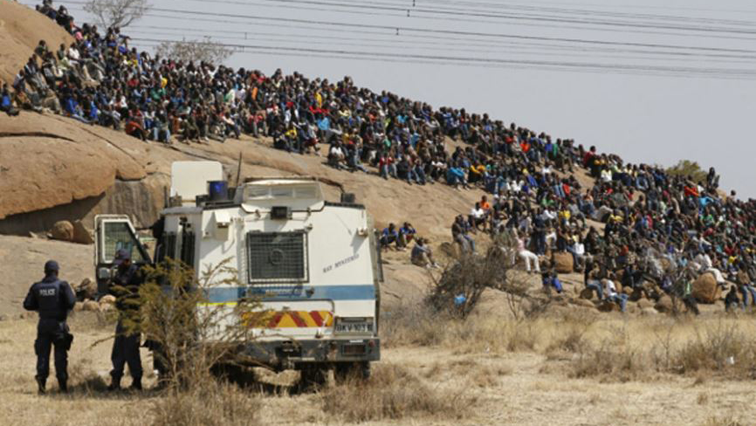 Thousands of people are expected to attend the Marikana commemoration today. The koppie at Marikana in North West where 44 mineworkers were killed six years ago is a hive of activity as hundreds gather to commemorate the massacre on August 16 2012. Trade union Amcu, which is organising the event, expects thousands to arrive. Some residents and mineworkers say the day is important to them. “This day is important to us. It saddens us because our brothers died for us. I’m hurting when thinking of our brothers who died here. This day is the day whereby our uncles, our fathers, our brothers were fighting for a living wage, of which they ended up being killed”. This entry was posted on 16 Aug 2018,10:52AM at 10:52 AM and is filed under South Africa. You can follow any responses to this entry through the RSS 2.0 feed. Both comments and pings are currently closed.